The National Environmental Policy Act (NEPA) is the cornerstone of our Nation's environmental laws and was enacted to ensure that information on the identification and analysis of potential environmental impacts of any federal, or federally funded, action is available to public officials and citizens before decisions are made and before actions are taken. NEPA assures that environmental factors are considered equally with the technical and engineering components of a decision. NEPA requires Federal agencies to identify all potential environmental effects and any adverse effects that cannot be avoided and to evaluate alternatives to the proposed action. NEPA is a "full disclosure" law with provisions for public participation in the federal decision-making process. The NEPA process is intended to help public officials make decisions that are based on an understanding of environmental consequences, and take actions that protect, restore, or enhance the environment (See 40 CFR 1500.1(c)). The public participation portion of the NEPA process begins with the publication of a Notice of Intent (NOI) to Prepare an Environmental Impact Statement (EIS) in the Federal Register. 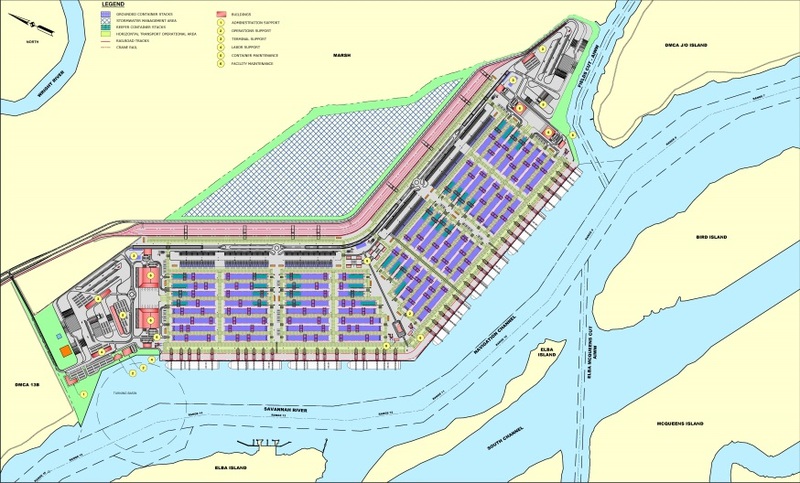 A copy of the NOI for the Jasper Ocean Terminal (JOT) (Vol. 81, No. 204) can be found on the Document Library page. NEPA encourages Federal agencies to identify significant issues that will be analyzed in depth early in the process. The Corps, as lead agency for the EIS, is currently reviewing information about the proposed JOT and plans to hold a scoping meeting during the first quarter of 2017. A public notice inviting Federal, State, and local agencies, any affected Indian tribe, and other interested parties to participate in scoping will be issued by the Corps approximately 30 days before this meeting. One of the primary goals of scoping is to identify significant issues that need to be analyzed in depth in the EIS, and to identify and eliminate from detailed study issues that are not significant or that have already been covered by other environmental reviews (narrowing the discussion of these issues in the EIS). Comments may be submitted by the public, resource agencies, and other interested stakeholders online, via email, by mail, and statements and/or written comments may be submitted at the scoping meeting. As described above, a public notice will be prepared and distributed by the Corps. The public notice will include specific information, such as the location, date, and time of the scoping meeting and the duration of the comment period. All comments made during scoping will be compiled and documented in a scoping report, and used by the Corps during the development of the scope of work for the Draft EIS. The Corps will prepare a Draft EIS and make it available to the public for review and comment. The completion of the Draft EIS will be announced in the Federal Register through a Notice of Availability (NOA). Similar to scoping, a public notice will include specific information, such as the location, date, and time, of a public hearing and the duration of the comment period for the Draft EIS. Comments may be submitted by the public, resource agencies, and other interested stakeholders online, via email, by mail, and statements and/or written comments may be submitted at the public hearing. All comments made during the comment period for the Draft EIS will be compiled and will be used by the Corps to identify whether additional information is required to evaluate the proposed JOT. The Corps will prepare a Final EIS and make it available to the public for review and comment. The completion of the Final EIS will be announced in the Federal Register through a NOA. 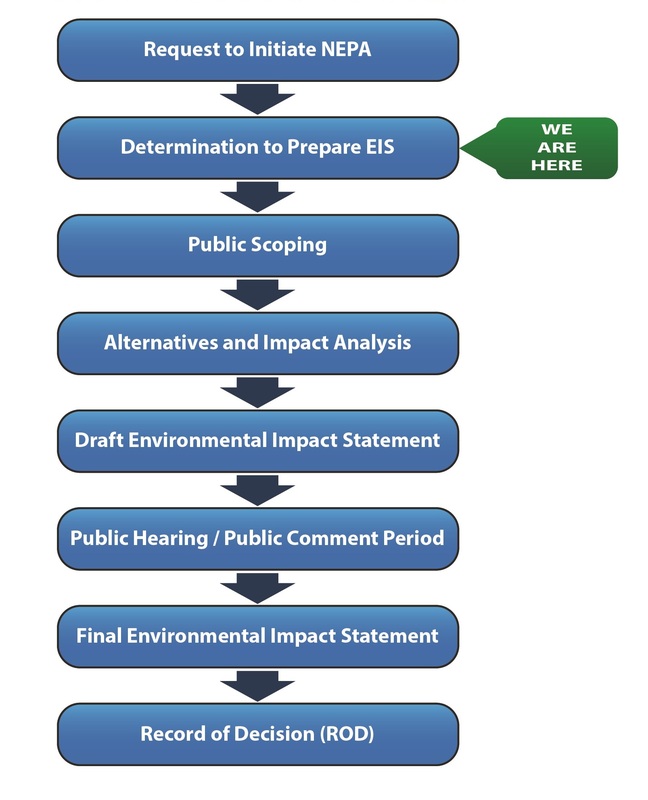 This Final EIS will include a summary of the public comments that were received in response to the Draft EIS and indicate how they were addressed in the Final EIS. No sooner than 30 days after the NOA for the Final EIS is published in the Federal Register, the Corps will issue a Record of Decision describing the Corps’ decision regarding the permit application for the proposed JOT. Additional information about NEPA may be found on the Council on Environmental Quality (CEQ) website.